The new iPad Pros will be available in the US starting November 7. The new iPads will be available in 64GB, 256GB and 512GB storage options as well as a whopping 1TB option. 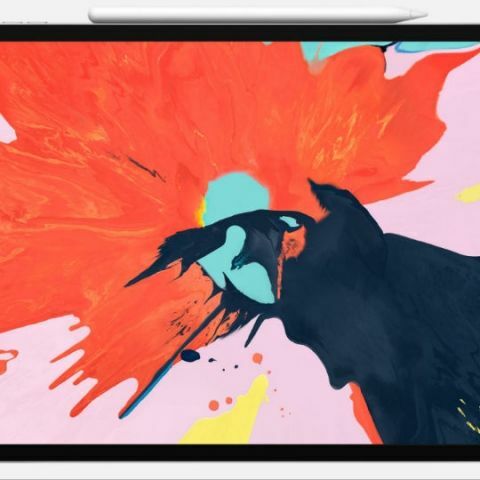 The 11-inch iPad Pro starts at $799 (Rs 59,000 approx. directly converted) where as the new 12.9-inch iPad pro starts at $999 (Rs 74,000 approx. directly converted). The two new iPads are available in space grey and silver colour options. 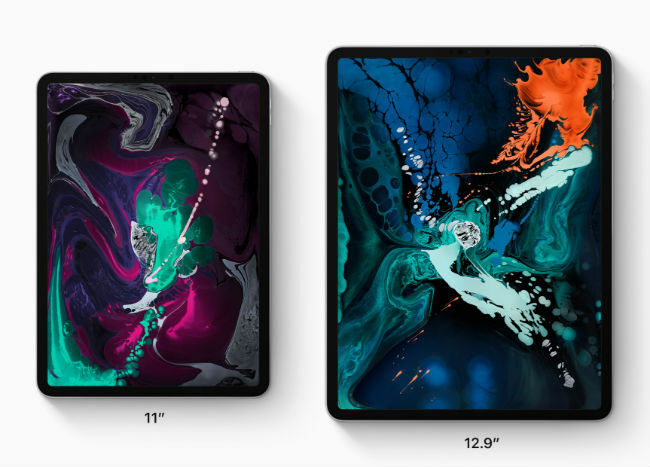 Apple has announced two new iPad Pro tablets. The new iPads will be available in the US starting November 7. There is no information available on when the new iPads will come to India or an India pricing. The design of the new iPad Pro has changed to be more angular compared to the rounded edges found on the previous generation iPads. Speaking of the previous generation iPad, the 10.5-inch iPad Pro will continue to sell in the market. The new iPad Pros are a 5.9mm thick and the 11-inch iPad pro weighs 468 grams, whereas the 12.9-inch iPad Pro weighs 631 grams. As the rumour mills suggested, the new iPads have forgone the home button in favour of Face ID. This is how the 11-inch iPad Pro manages to get an 11-inch display in the 10.5-inch iPad Pro's form factor. The Pro still has 4 speakers and this time the devices have magnets all around to hold and charge the new Apple Pencil. For connectivity Apple removed the lightning cable in favour of USB-C, giving users the ability to connect the iPad to a host of devices such a 5K display. The new iPad Pros can also be used as power banks to charge other devices. Under the hood, the new iPad are powered by the A12X Bionic chip. The new chip has more than 12 billion transistors. It is an 8-core CPU with 4 performance cores and 4 efficiency cores. Apple says that the new A12X Bionic gives 35% faster single core performance than its predecessor whereas the multicore performance is up to 90 percent faster. During the launch keynote Apple even said that the chip is faster than 92% of portable PCs sold in the last 12 months. On the graphics front, the A12X has a new 7 core GPU, which Apple says has twice the performance of its predecessor. To put things into perspective, the graphics of the new iPad Pro is 1000x faster than the 1st gen iPad. Coming to the camera, like we mentioned above, the new iPad Pros will now support Face ID and for this it has Apples True Depth front facing camera. The front facing camera is a 7MP shooter, whereas the rear camera is a 12MP one with an f/1.8 aperture lens. The camera can record video at a maximum of 4K at 60fps with slow mo at 1080p at 120 fps and 720p at 240 fps. The tablets also have Bluetooth 5 under the hood. Moving on, Apple also announced the second-generation Apple Pencil. The new pencil magnetically attaches to the iPad (finally) and while its attached, it charges. “The new iPad Pro is a huge step forward for powerful, creative, mobile computing; it has an all-new thinner design, speeds through projects with the super-fast A12X Bionic chip and unlocks with a glance using Face ID in any orientation — while you’re sitting or standing, with iPad Pro on your desk or lap, with the new Smart Keyboard Folio and new Apple Pencil,” said Philip Schiller, Apple’s senior vice president of Worldwide Marketing. “There has never been a mobile device anything like the new iPad Pro; it has a gorgeous edge-to-edge Liquid Retina display that curves into the corners, breakthrough performance that outperforms most laptops, Face ID, support for the new Smart Keyboard Folio and new Apple Pencil, advanced new cameras and sensors for the best AR experiences ever in any device, a high-speed USB-C connector, louder speakers, faster wireless and more, all packed into a thinner device that has all-day battery life and is 25 percent smaller in volume.” he added. Speaking of pricing, the new iPads will be available in to following configurations and price. Apple also announced a new MacBook Air and a new Mac mini. You can read about the new MacBook Air and the new Mac Mini here.